Sorrell was good copy. He got into bruising takeover fights, took on media owners in trading negotiations, sued rivals and former employees, and clashed repeatedly with WPP's shareholders over his pay. WPP "has turned out to be a life’s work", Sir Martin Sorrell once told me. It was a moment of candour that explained so much about the WPP chief executive: his passion, his drive, his desire to build the biggest ad group, his sentimental reluctance to sell anything and, ultimately, his refusal to consider retirement. Now his life’s work is over at the age of 73. Or, rather, it has been snatched away, after the WPP board’s investigation into his personal conduct forced him out. And yet Sorrell, the dominant figure in global advertising for three decades, probably knew in his heart that the end of his reign, whenever it happened, was going to be brutal. He was too combative and obsessive to relinquish control of his kingdom voluntarily, for as long as he had his health. When he used to bat away questions about succession by saying he would stay until they carted him off to the glue factory, he wasn’t joking. This was a man who never sold any of his shares in WPP except to cover the cost of his divorce and tax bills. Journalists got to know Sorrell well because he loved the financial limelight and gave so much time to us – unlike most CEOs who are surrounded by spin doctors. After spending two hours presenting at WPP’s annual shareholder meeting last June, he spent another 30 minutes talking to a handful of reporters. Sorrell was good copy. He got into bruising takeover fights for companies, took on media owners in trading negotiations, sued rivals and former employees, and clashed repeatedly with WPP’s shareholders over his pay, which reached £70m in 2015. Born in north London and educated at Cambridge, he was a good gossip, sometimes using a Yiddish phrase to emphasise a point. He was eminently quotable – whether it was "eyes bigger than tummy" about the failed Publicis-Omnicom merger or "the grey swans" of economic uncertainty or "kiss and punch" to describe how WPP agencies should collaborate and compete. He knew a lot because he travelled so much and employed so many people – 200,000 staff and associates in more than 100 countries. Journalists might grumble about giving Sorrell too much airtime but he received better information on a daily basis than many government ministers or newspaper editors. He could talk too much. A fellow CEO who sat on David Cameron’s council of business advisors tells a yarn about how Sorrell talked for so long during one meeting in Number 10 that the prime minister supposedly quipped: "Martin, who’s chairing this meeting?" Sorrell liked to say he was a founder but he was more of a corporate trader and collector. After taking over Wire & Plastic Products and turning it into an acquisition shell, he embarked on a relentless quest to buy agencies, starting with J Walter Thompson and Ogilvy & Mather and later Young & Rubicam and Grey Group. He wanted WPP to be the world’s biggest – and when he ran out of large agencies to buy a decade ago, he bought more, smaller businesses to keep expanding. The company’s annual report became a homage to his collection of agencies with detailed reviews of the year by dozens of the agency leaders. A shareholder who invested £1 in WPP in 1985 got a return of £86 by last year. Sorrell was wrongly derided as just a finance man. He knew how to win clients, had an encyclopedic knowledge of the latest pitches and loved the thrill of the chase. He didn’t just acquire agencies. He reshaped some of them, most successfully by unbundling media from creative when WPP set up Mindshare by merging the media departments of JWT and Ogilvy in 1997. He was a relative latecomer to the media buying opportunity but scaled it ruthlessly on a global basis better than anyone else – although critics said cheap prices came at the expense of creativity. Group M, the media arm, went on to be WPP’s profit engine. Sorrell could be intimidating, especially when he didn’t like awkward questions. "What’s the market cap of Publicis? What’s the market cap of Omnicom?" he would retort, trying to catch out a journalist who didn’t know their facts. After I wrote one article about his pay, he gave me a public dressing-down in the lobby of the Carlton Hotel during Cannes Lions. "You’ve been Sorrell-ed," one of his aides said. He argued WPP was bigger than its rivals, so he should be paid more than their CEOs, and he put his shares at risk in a long-term bonus scheme that only paid out if WPP grew. "Mea culpa – I act like the owner I am," he said, while skipping over the fact that he owned less than 2% of WPP and had a bonus scheme that paid him as much as 10 times his salary. Sorrell liked the finer things in life, although he was not ostentatious, and based WPP in a modest mews house on Farm Street in Mayfair. He was motivated by money and had blind spots, billing the company six-figure expenses for "spousal travel", despite his huge earnings. His proprietorial zeal made WPP a success but also sowed the seeds of trouble in the last decade. Despite owning only a fraction of the company, he controlled virtually everything – right down to approving salaries for some mid-ranking staff. He could also be kind and loyal which meant he rarely fired senior leaders, even if they were past their sell-by date, and resisted calls to restructure the group. He was a better buyer than seller. Hundreds of acquisitions made WPP increasingly complex and yet he was reluctant to merge or dispose of businesses, perhaps because he had bought each one. He said that sometimes you have to "eat your own children" but, as Helen Calcraft of Lucky Generals has noted, it’s not easy when you get the knife and fork out. And the WPP board, which contained virtually no-one with operational experience of the advertising business, did little to challenge Sorrell as he reported record results in 2014, 2015 and 2016. It was arguably about two years ago that things began to unravel. The Association of National Advertisers investigation into "non-transparent" practices at media agencies shone an uncomfortable light on every holding company. 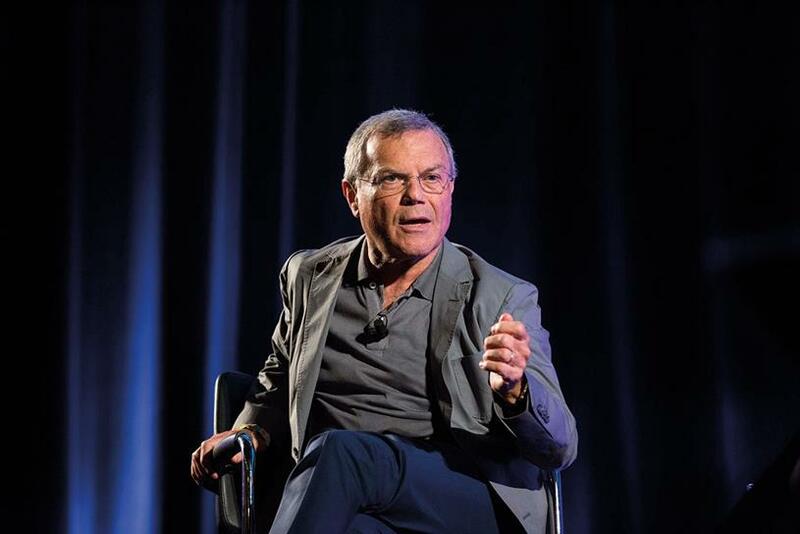 Horizontality, Sorrell’s strategy for getting agencies working in a single team, was also showing its limitations because they had multiple P&Ls and weren’t incentivised to work together – a problem when WPP’s top clients wanted more agility and to work with fewer agencies. Sorrell knew he must simplify WPP as its revenues went into reverse last year. WPP has "always been market-driven", which is why he created Mindshare, and the agency market is going through its biggest shift since then, he said last year. "My view is stronger today than it has ever been that moving to one organisation… is the right end position," he added. But Sorrell struggled to simplify his collection of agencies and, insiders say, was reluctant to listen to advice. He merged some agencies but there was no clear narrative and WPP’s share price kept falling, dropping close to 40% by the start of 2018. It was hard to see how he could last, even before the inquiry into his conduct. Now, having been carted off to the glue factory, his life’s work is in the hands of others. From the moment he left, there has been talk of breaking up WPP and former colleagues say they feel "liberated". And when the annual report came out at the end of April, there was none of the reviews of the year by the agency leaders and not a word of thanks for Sorrell. History will judge how durable his legacy is. But everyone in advertising can testify that Sorrell has had an immense impact, even if his contribution is more debatable. It has been a remarkable life’s work. And it’s not over – for WPP or Sorrell. If Sorrell was so influential, why can't adland agree on his legacy?